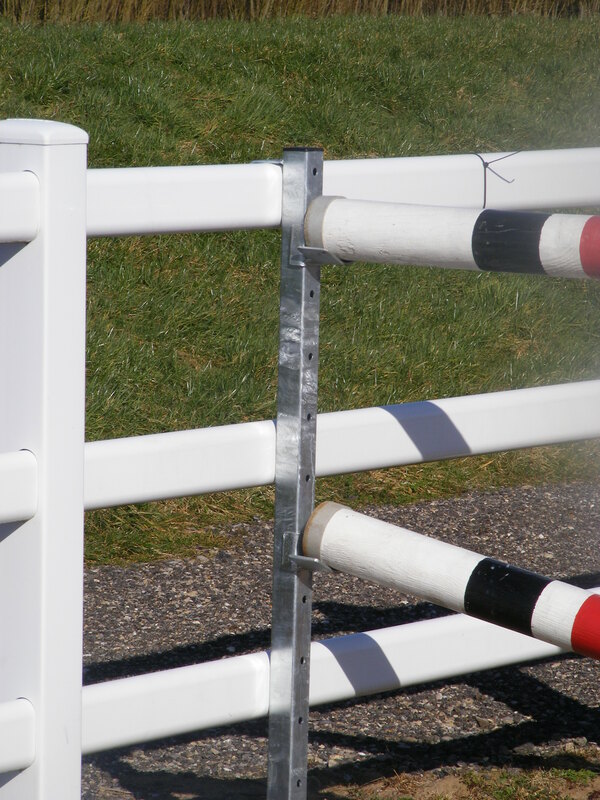 Our unique space saving hangers are perfect for smaller arenas of for building grids, they quickly and easily attach to fences, with no DIY required to provide a sturdy support to hang cups on. A great training aid, these hangers start at just £36 and like all of our show jump products are galvanised and totally maintenance free. Jump hangers allow you to create more jumps in a small arena or create a grid at a much lower cost than if buying full sets of wings. They can be supplied with either standard cup options or keyhole. They fit over a standard fence rail (4.5cm) wide but they can be made wider for rails ie. plastic arena fencing. You can also buy our Space Saving Arena Show Jump Hanger on eBay too!